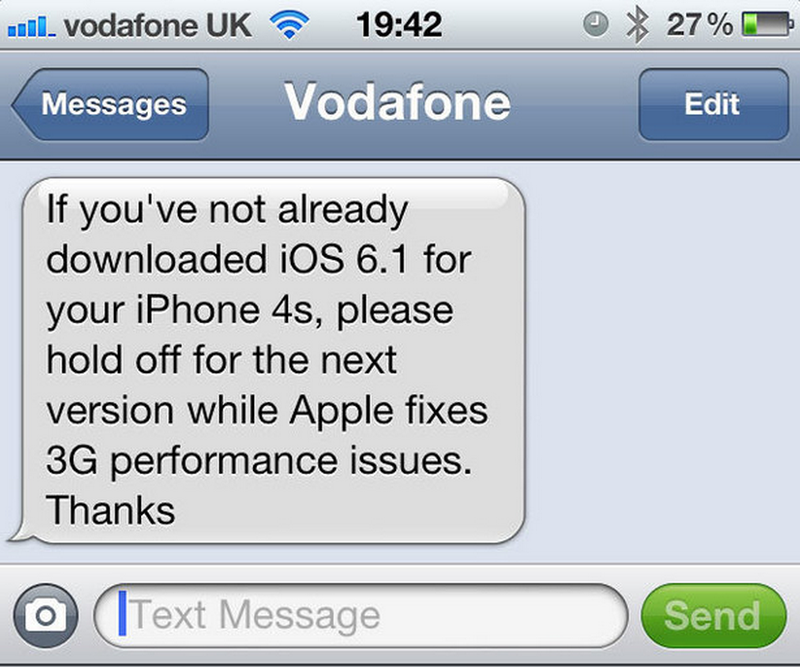 Following reports about some carriers in Europe issuing warnings not to upgrade to iOS 6.1 due to issues with 3G performance, it seems a fix is already in the works. The issue was not just with 3G through carriers such as Vodafone and three in Austria, many users in Apple’s own forums complained of similar problems, degraded battery life, and more. Users have also had problems with Exchange support, causing AOL corporate to temporarily disable the ability to manage mobile meetings from iOS devices running iOS 6.1. Apple’s first beta release for 6.1.1 was released last week with build number 10B311.